Two days ago I set foot for the very first time in Budapest, the capital of Hungary. I fell in love with many parts of this “Old World” city, however, one particular landmark is well branded in my memory. 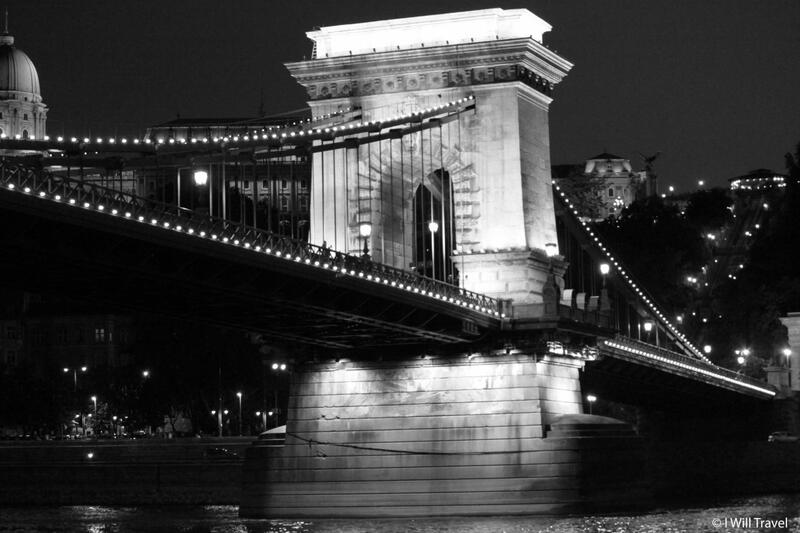 One of the most iconic landmarks is the Széchenyi Chain Bridge. Named after István Széchenyi, the stone-bridge spans the River Dunabe and connects Buda and Pest, the western and eastern sides of Budapest. Nowadays, this famous suspension bridge is more than just a link between the two sides of Budapest; it is a place to create or recollect memories, a place to meet a friend, or simply a place to absorb the enchanting essence of Budapest. WOW! You’re in Budapest! I want to go there next year (hopefully on a Danube trip) so thanks for the report. William, I look forward to your blog always with great curiosity. It’s well written, educational and informative. Your blog appeals to all our 5 senses….. Please include more photos. It helps a great deal to take me back to these wonderful places. It allows others as well to travel with you ‘in spirit’. Thank you so much Mary. I am very happy to hear that it brings you wonderful memories. We often remember you also. Will be able to post a lot more photographs from Toronto.